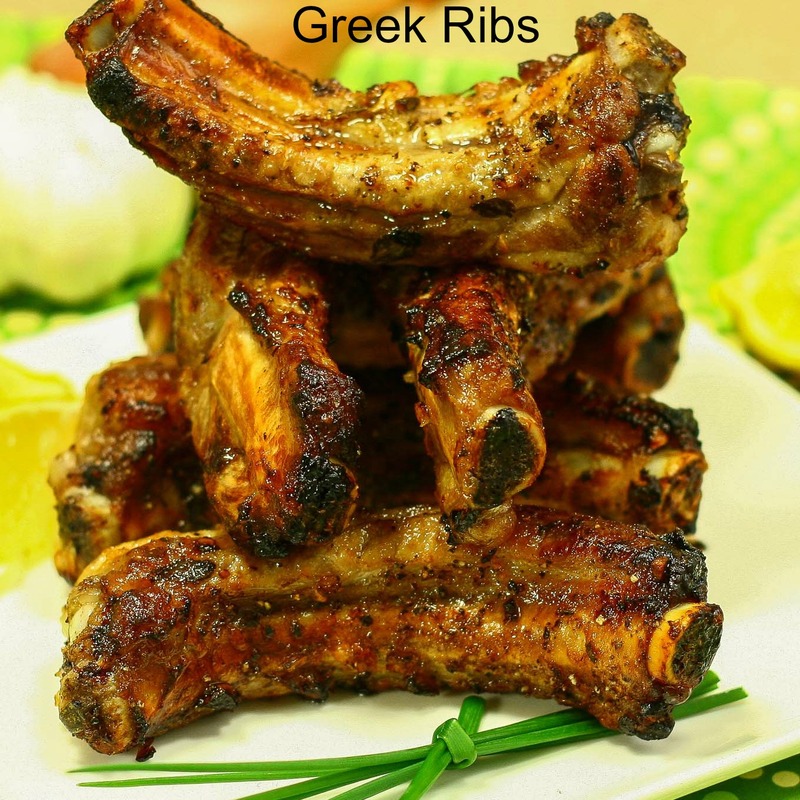 A finger licking recipe for Greek Ribs! Marinated in fresh garlic, oregano and lemon. Great for dinner or a very tasty appetizer. I love growing fresh herbs and right now the oregano in my herb pot is overgrowing! 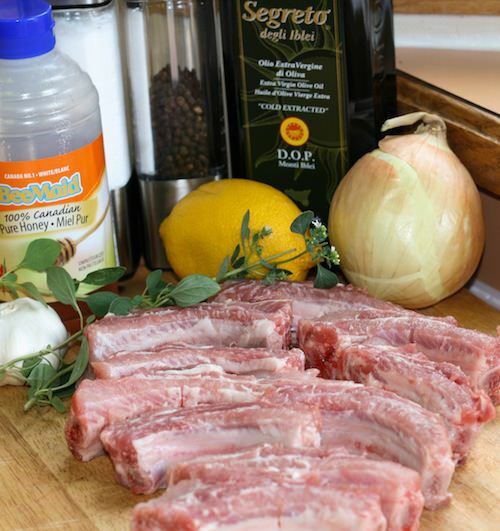 Greek Ribs is one tasty recipe using fresh oregano. 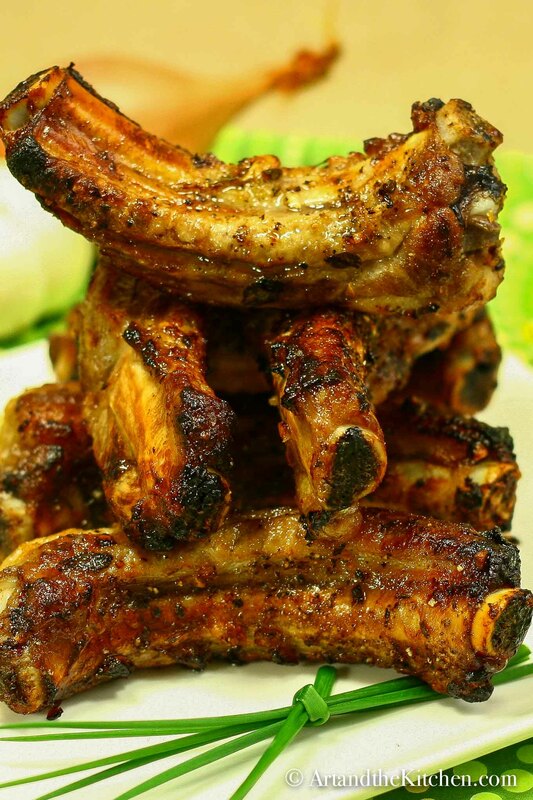 Enjoy these ribs as an appetizer or even dinner served with a tasty salad like one my Favourite Salads. 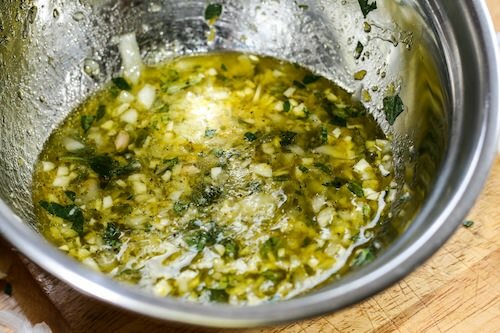 Garlic, oregano, lemon and onions; now that is some serious flavour! 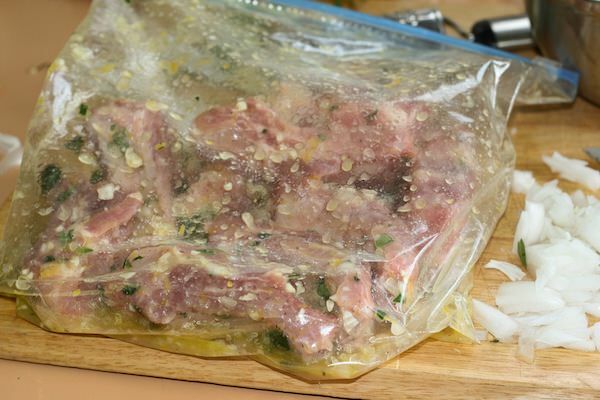 Make the marinade in the morning and let the ribs soak up the seasonings all day. 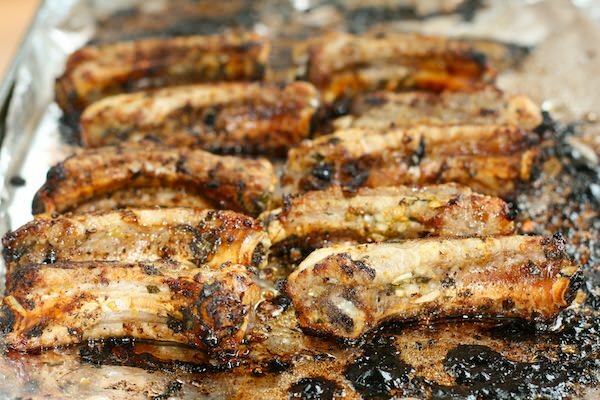 Made with fresh oregano, garlic and lemon these Greek Ribs are bursting with flavour! Preheat oven to 400 degrees. Line cookie sheet or baking tray with foil. 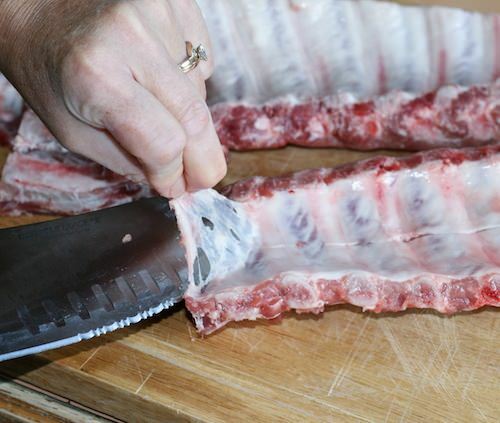 Spray with oil and place ribs on, leaving some space between each rib. Bake 400 degrees 5-10 minutes until ribs have a nice sear. Reduce heat to 300 degrees and roast for 1 hour. 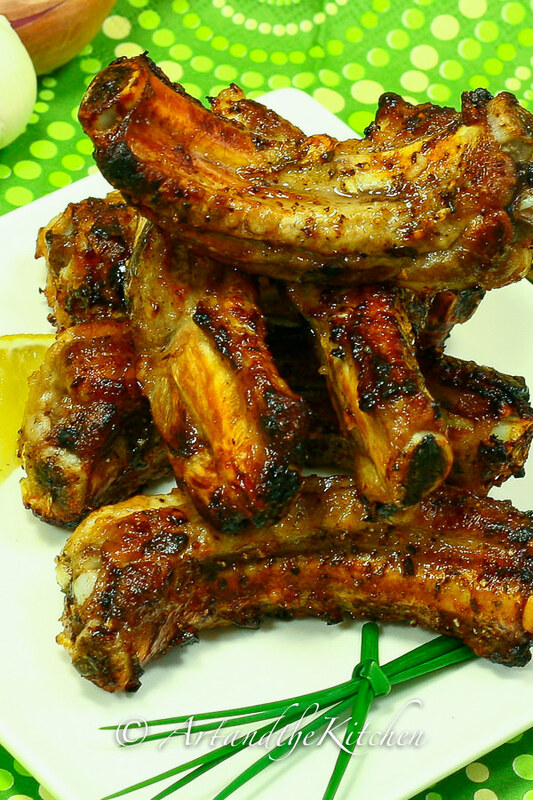 These ribs also taste great made on the BBQ. Put ribs and marinade in large ziplock bag, shake and refrigerate 4-8 hours turning occasionally to ensure all sides of ribs get seasoned. Preheat oven to 400 degrees. 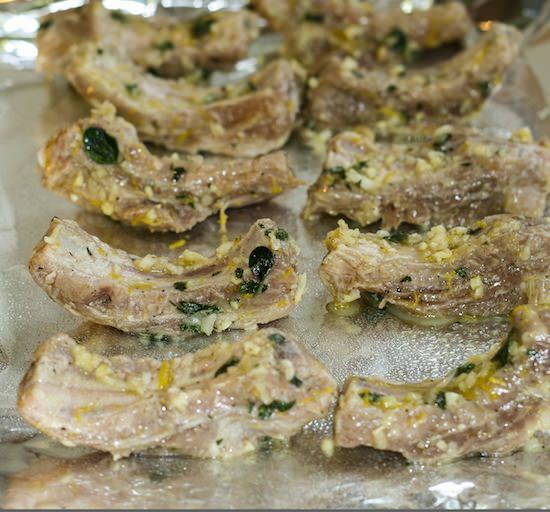 Line old cookie sheet with foil, spray with oil, place ribs with space between each. Bake 400 degrees 5-10 minutes until ribs have a nice sear. Reduce heat to 300 degrees and roast for 1 hour. Cut them individually, would the cutting time be different? Hi Beth, yes cooking time would most likely be increased. Can they marinate longer than stated? I was going to cook them tomorrow so I prepared them tonight but now plans have changed and I can’t cook them until the next day. Will that be a problem? I Michelle, sorry for not responding sooner, the message just came through, weird. So this is probably too late of a reply, but yes you can marinate them longer. I usually do overnight. Any ideas how the cooking time should be extended or if it does? They have been marinating all night, can’t wait to start cooking them! Hi Shelley, I’m guessing the cooking time will have to be extended a bit. Best bet is to cut into one close to the bone and check for doneness after an hour. I use the marinate recipe on chicken as well and its great! Greek Ribs were fantastic. Will definitely mKe these again and again and again. Thank you Mary, my family loves when I make this recipe as well. I have made the ribs a few times. They are failproof and absolutely delish with Greek potatoes and a nice salad. Great recipe ******…six stars, my friend! I marinated these ribs overnight. I had high expectations after reading the reviews. Very bland and flavorless. Also it needed 2 hours not 1. Will not make again. Just tastes like plain old pork to me. Disappointed. Hi Christine, sorry the recipe didn’t meet your expectations. 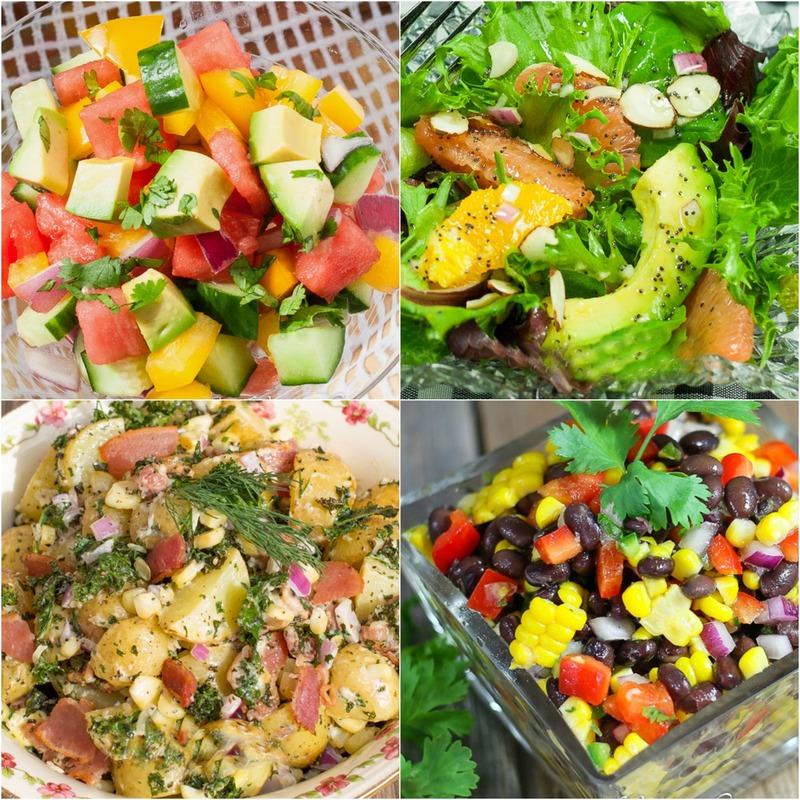 Sometimes the freshness of the herbs can affect flavour. I’ve have always got rave reviews for this recipe. Thank you for this recipe. 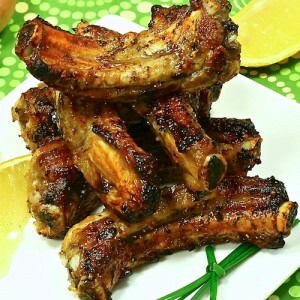 Everyone loves it and I always get big compliments when I make the ribs, and often get requests for the recipe. Thank you so much Mary Anne, it thrills me every time someone tries my recipes and like them!